Hello everyone! This post is coming out a little bit later in the day, but it’s so worth it! 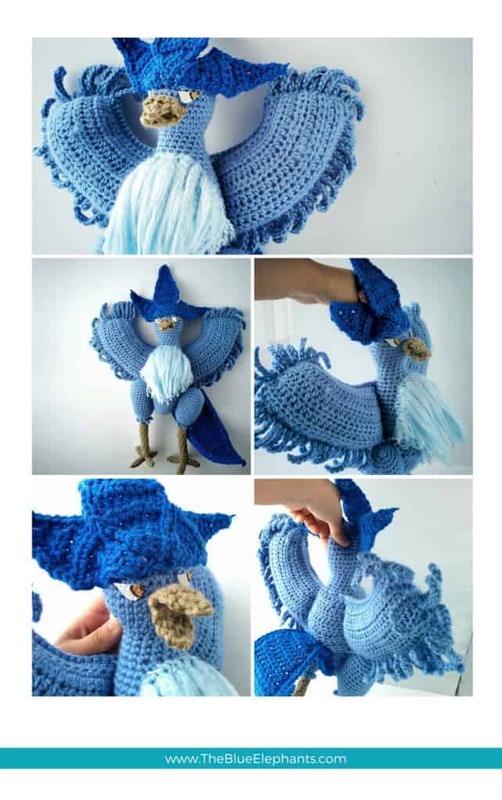 This week, I finally finished making, designing, and writing up the pattern for my crochet Articuno. 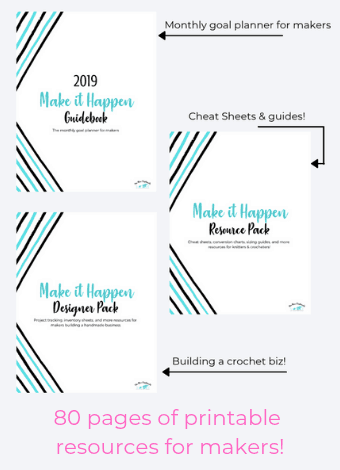 Before I even started, I was struggling to picture how I would make this come together in a way that I was happy with, but in the end, I decided to just start and see how it went. 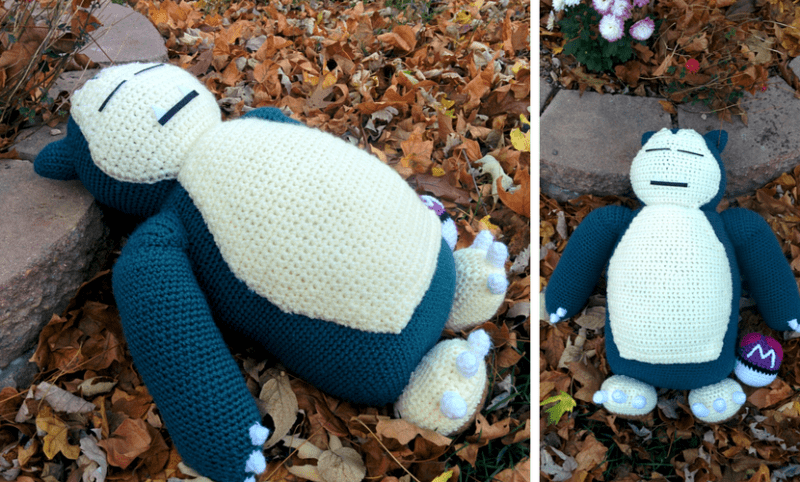 I’m so pleased with this guy and I can’t wait to give him to my niece. 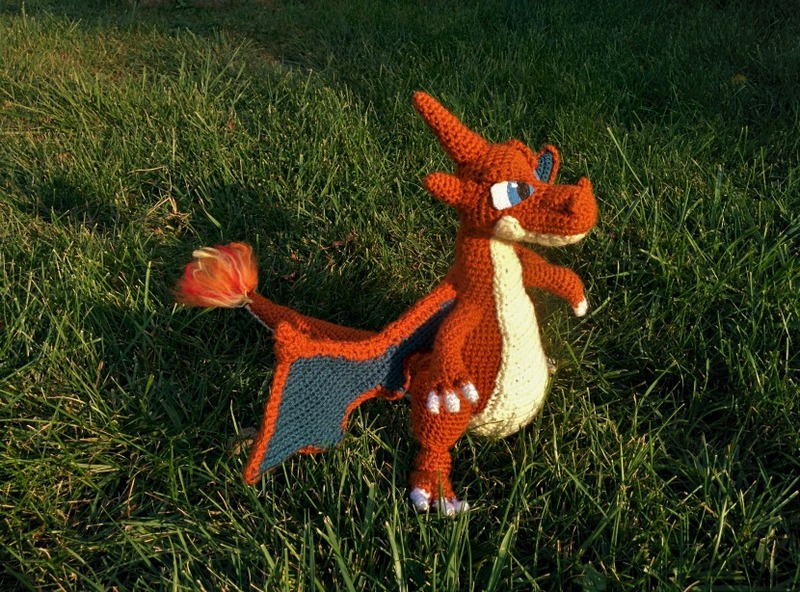 She requested him so many months ago, and although I made my crocheted Charizard and a Snorlax for her brothers without any problems, Articuno had me stumped. But that girl has been so patient. Finally, she’ll have her Pokèmon too! He’s 18 inches tall and has a wingspan (from the tip of one wing to the other) of 13 inches. 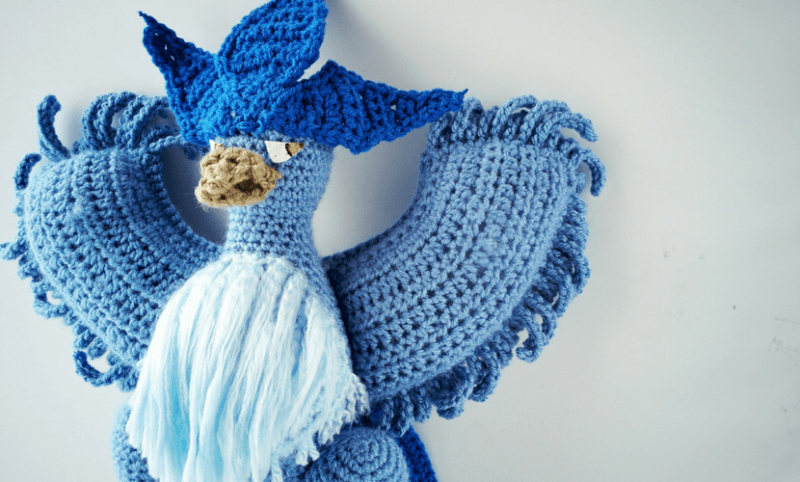 This crochet Articuno is constructed in parts, which are all seamed together at the end. 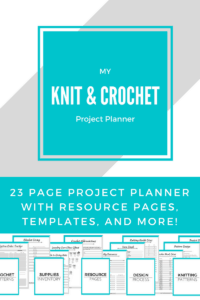 The main stitches used are single crochet and half double crochets, so it’s easy for beginners too. There are pipe cleaners in his legs and tail so they are posable. And so, so many pictures! I hope you guys like this and give it try! 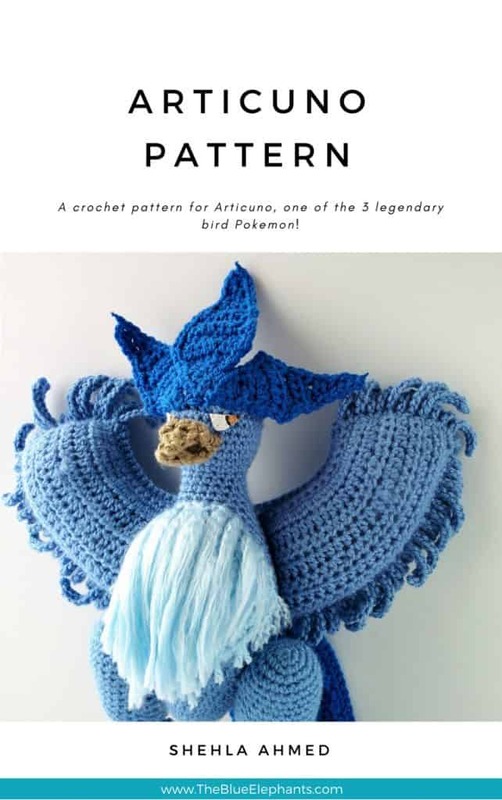 Or, if you’re more of a Charizard or Snorlax fan, try the patterns for those guys! I’m super pleased with this and I really think this is my favorite pattern yet. Let me know what you think in the comments below!